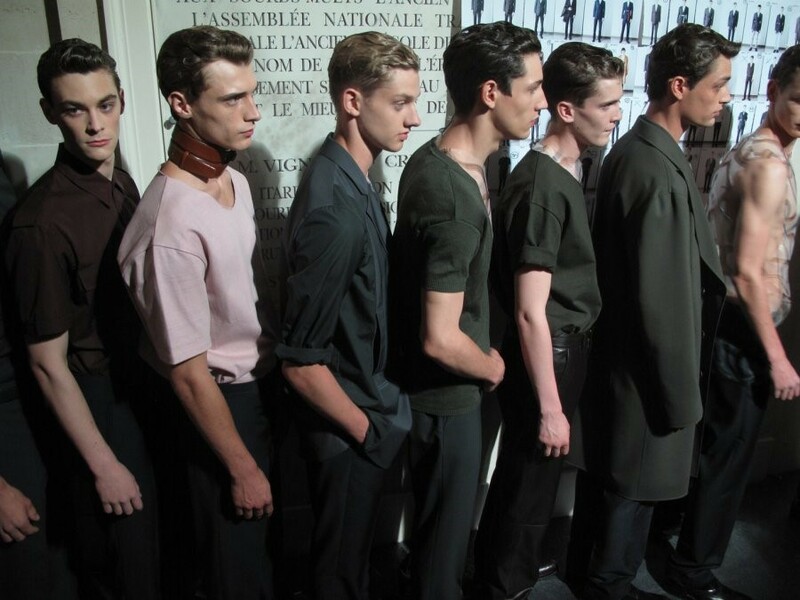 Backstage at Paris Menswear Fashion Week. Raf Simons presented a grown up incarnation of the Raf customer in slick tailoring and leather coats. Snakes coiled around the neck in the form of belts and as an actual print on transparent tops. Backstage photography by Giovanni di Nunzio.